Happy Wednesday! I’m on a roll this week with my third blog post already, woo hoo! 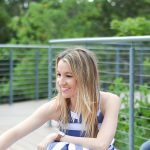 We got a toddler bed from Wayfair for Noah recently, and I wanted to chat a bit about making the transition from crib to toddler bed. We haven’t officially made the switch yet, but we are easing into it. The bed is freaking amazing you guys. It looks so realistic, and he is obsessed with it. It comes with a mattress already, so we didn’t have to purchase one. I am going to get a mattress pad just to make it a little more comfy; I’m obsessed with making beds extra comfy! We decided to get it in white because he is always saying “white car”. 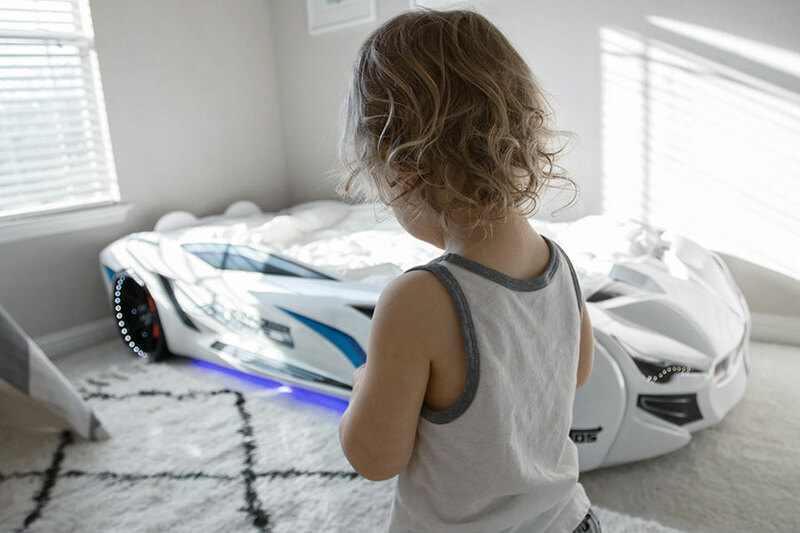 His favorite car that he plays with is white, so it made sense. He only crawled out of his crib once, and then never did it again. As soon as he crawled out of his crib I got online and started looking at toddler beds. I was freaked out he was going to do it again and get hurt. Luckily he never did it again, but if your little one is doing this often, it’s definitely time to make the switch! We put the bed in his room right away and got him excited about it. He lays in it sometimes during the day with his stuffed animals and plays with cars or looks at books. We are trying to familiarize him with it, instead of just going cold turkey. We bought new cozy sheets & a comforter that is similar to the one on our bed. He loves the one on our bed, so I thought he would love to have a mini version of his own. He will still sleep with his blankets from his crib once we officially make the switch so he has some similar things in his bed. 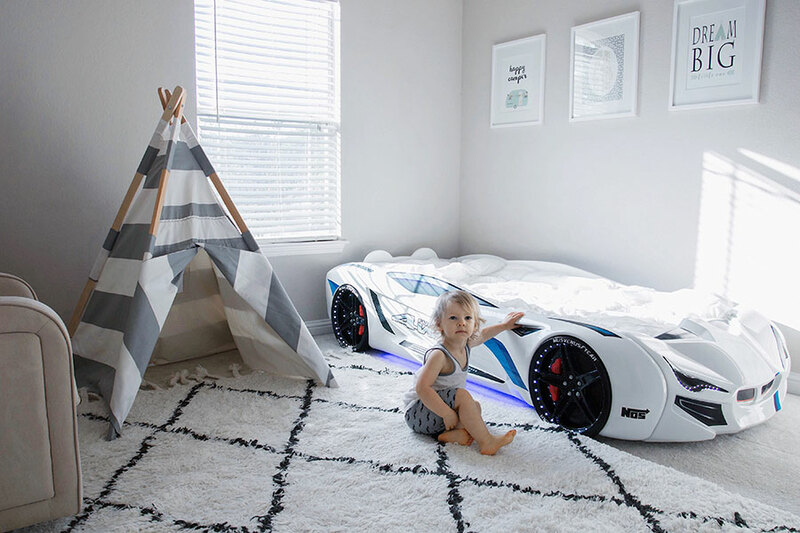 Since it’s a car bed that literally lights up and makes noises (controllable with an actual key, so cool!) we thought it would be best to let him play with it first, and get all of the excitement out before we make the actual switch. This way most of the initial excitement will have worn off, and he won’t be too excited to actually sleep. We need to get a gate for his bedroom door! Our bedrooms are up on the second floor, so a gate is a must so he can’t walk out of his room, and try to get past the gate to go down the stairs. Gates are such lifesavers when it comes to babies/toddlers; especially in a two-story house! We still have his crib in his room, and he’s still sleeping in it for now. Our plan is to switch him this summer before baby sister’s arrival. This way he will have some time to get used to it, before we rock his world with a sibling. We plan on making the switch during a weekend or time when life isn’t crazy busy for us. This way if we are up multiple times during the night trying to get him into bed, we aren’t super stressed about waking up early or deadlines. Welp, that’s our game plan! Let’s hope when we actually make the switch all goes well. 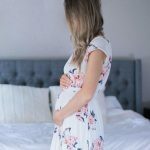 I would love to hear about how you made the transition from crib to toddler bed, and how it went for you! Making the switch during the weekend when you have extra time to relax is key! Yes!!! This is for sure going to be a key ingredient in the mix! He is so adorable and he must be loving that bed! How fun! 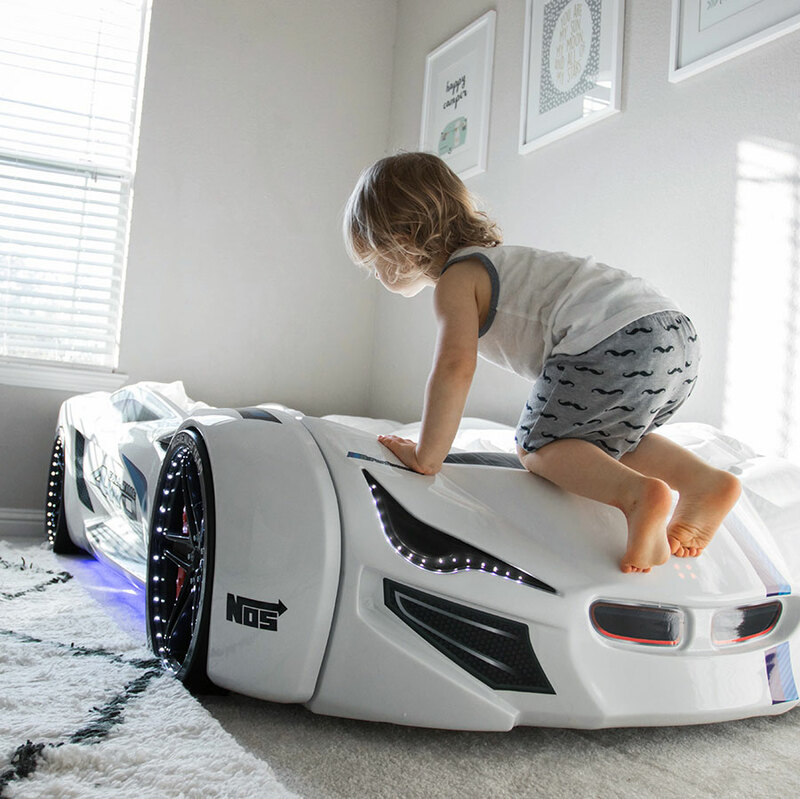 I always wanted a car bed as a little kid and I never got one! I love how realistic it looks! SO fun! 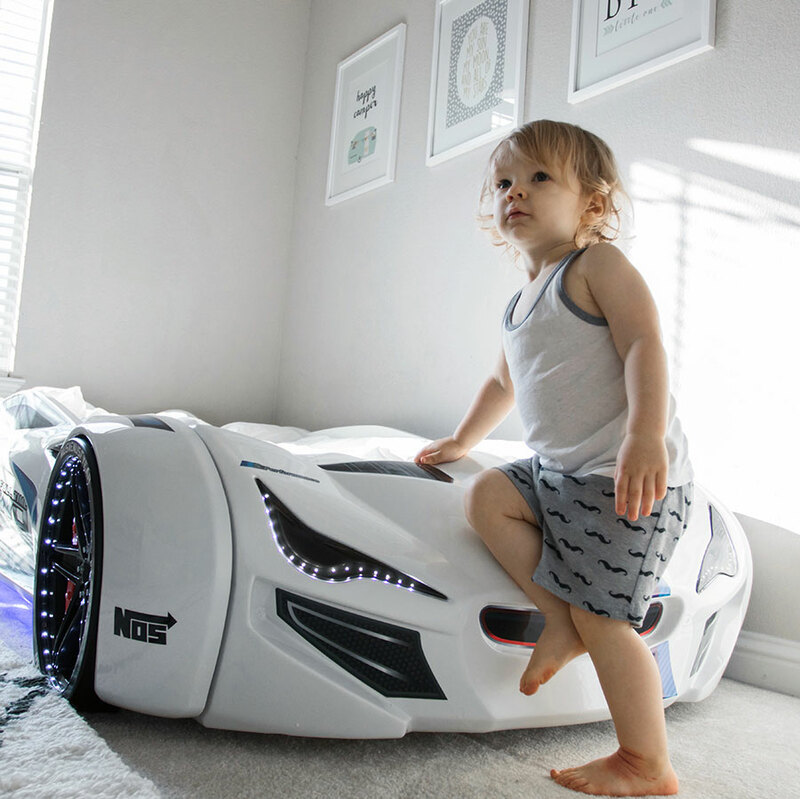 What a lucky boy, getting a race car bed!! Hope the transition goes smoothly! 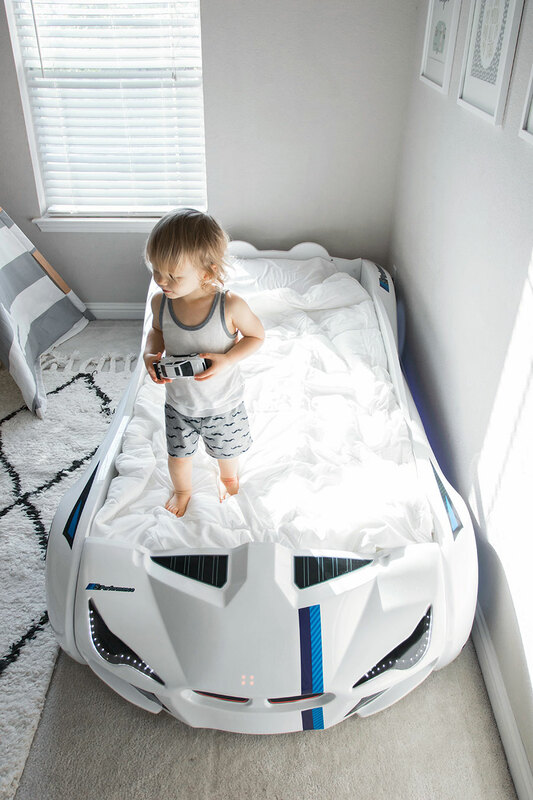 That has got to be the coolest big boy bed ever!!!! That bed is SO cute!!! I hope he loves it! 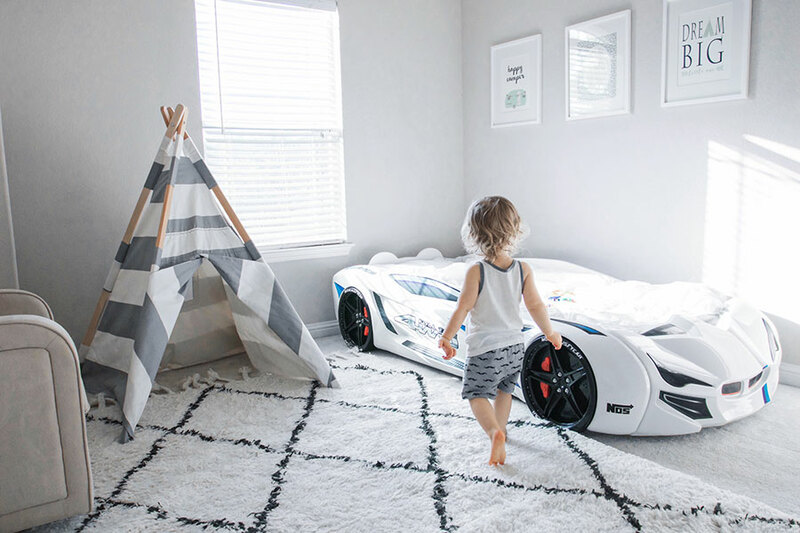 Oh my gosh my nephews would love that bed! Heck, I would love that bed haha! It’s so fun! Aww this is so cute! Lovely post. I love his little car bed! How fun! My son would love this! This room looks awesome! 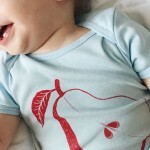 How cool for your little one! what a wonderful idea. My daughter had never like her crib too..and I wish I read this at that time :-). She is now sleeping on the bunk bed. 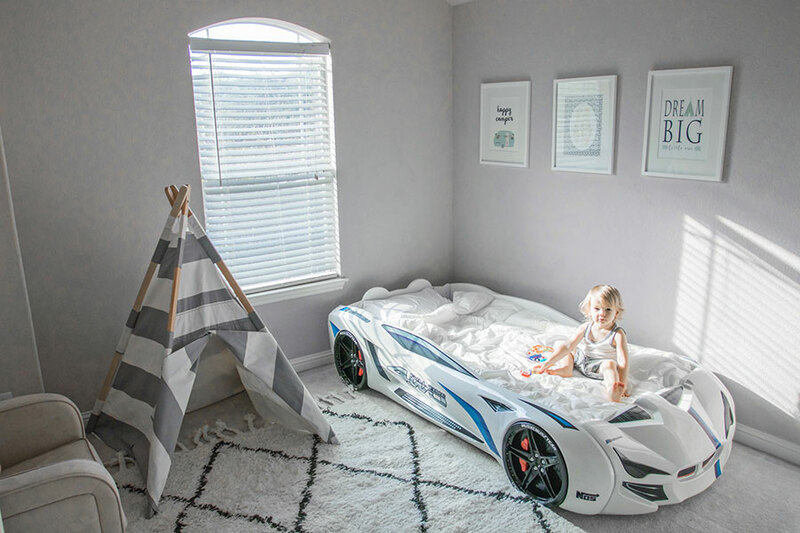 This is so smart to have a “race car” as a new bed. And a little yurt?! One lucky kid! This bed is seriously too adorable!!! I love it! I learned so much!! Now if only I had a child! That is the cutest bed I have ever seen! I loved all your tips – will have to pass this along to my mommy friends. Coolest bed ever!!!! Wow, and, he needs to know that he has the coolest parents ever too. 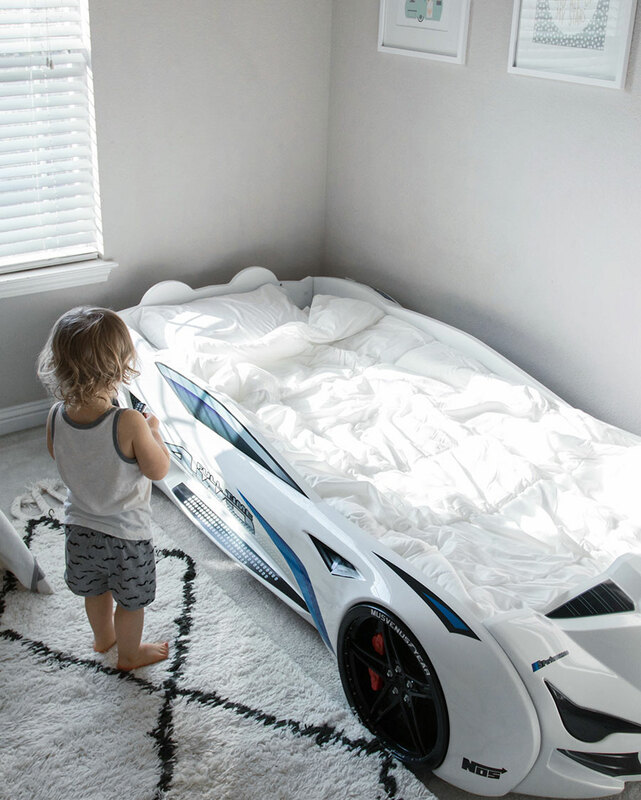 That bed is probably every little boys dream! How fun! !